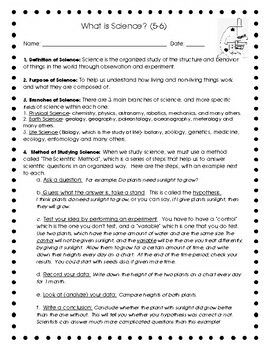 This little worksheet is a good way to introduce your science curriculum for the year. 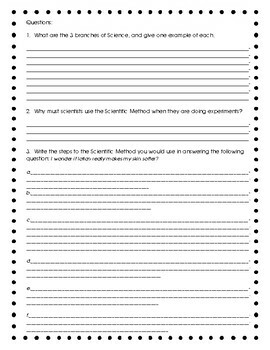 It covers the definition of science, the purpose, branches and method of studying science (scientific method). 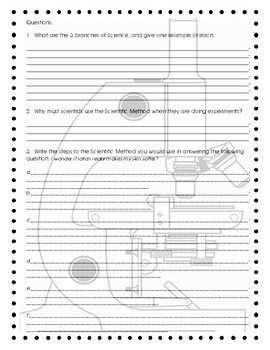 There is a second page with questions to answers with two formats to choose from.